Disabled people descended on Westminster today in droves to lobby MPs on Rob Marris’s Assisted Dying (no 2) Bill. Marris wants to give adults who are terminally ill and mentally competent the ‘right’ to have assistance to kill themselves using lethal drugs on the say-so of two doctors and one high court judge. The bill is due its second reading on 11 September. Disabled stand-up comedian and actress Liz Carr (pictured left) addressed the gathering and was introduced by former Paralympian Baroness Tanni Grey-Thompson (below). They later visited no 10 Downing Street to hand a letter to the Prime Minister (see below). We shouldn’t be fooled by the term ‘assisted dying’. This is assisted suicide. So let’s call it what it actually is. It’s about people having help to kill themselves. The former name of Dignity in Dying (DID), the organisation pushing this bill, is the ‘Voluntary Euthanasia Society’. They will use any euphemism to distort the facts and disguise their wider agenda. Their main weapons are misinformation, emotion and fear – fear about pain, dependence and disability. So we have to fight this fear with facts and truth. Is there anyone in this room who wouldn’t prefer a pain free death with dignity? Of course not. We all want that. But this law is not the way to achieve it. I’m able to speak here today because I am loud, articulate and have been on telly. 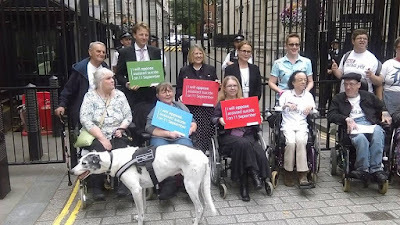 But I speak on behalf of many who are unable to speak in their own defence – vulnerable and disabled people who don’t have access to the drugs, housing , social care, support and choice they would like. If DID really believe in compassion then why don’t they use some of their millions of pounds of resources to ensure that everyone who is vulnerable or dying has good care and support rather than being steered toward suicide? The term ‘right to die’ is rubbish. We are all going to die. What is really being talked about here is the right to be killed, something altogether different. Suicide is already legal and everyone who is serious enough about it is already able to kill themselves. But this bill is about people who want someone else to do it for them. It’s about socially approved suicide. It’s about making suicide socially acceptable when it is actually something we should be trying to prevent. Anyone can already kill themselves without assistance – by simply stopping eating, taking an overdose or even driving their wheelchair down the stairs. I’m using these examples to make a point – not suggesting that anyone do it. But the point is, why then do we need to change the law to allow people to be assisted to do what they can already do without assistance? This bill wouldn’t actually help the tiny number of people like Tony Nicklinson who are unable to kill themselves. We will then be told that it is cruel to discriminate against these people and that we should legalise euthanasia as well. We hear a lot about the term ‘slippery slope’. I don’t use this term because this widening of the law we see in every country that has legalised it is not a passive process. It’s much more accurate to call it ‘incremental extension’. Let’s have no illusions about the wider agenda. I was in Luxembourg just after they changed the law. The MPs who were pushing for it wanted it for children and elderly people with dementia as well. But they knew they wouldn’t get it so they went for the softer target of the terminally ill. It is no different here. 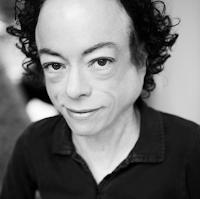 DID say it is only for mentally competent adults with less than six months to live but think about the people they are using to make their case – Tony Nicklinson, Debbie Purdy, Jeffrey Spector, Paul Lamb, Terry Pratchett. Not one of them actually fits with their definition. None of them are actually terminally ill. They say they only want suicide for people with terminal illnesses. And yet they also say they want to prevent vulnerable people – say with mental illnesses – from committing suicide. But many people with terminal illnesses are not desperate to die and many people without terminal illnesses are. So why do we have one law for one group and another law for the other? This is really just discrimination. It’s saying that it is good for people who are terminally ill to kill themselves – but bad for younger people with mental illness to do so. But we can’t on the one hand push for suicide prevention for one group of people and encourage suicide for another group. This is a dangerous and confusing mixed message. When I did my euthanasia tour I talked to people involved in the group Compassion and Choices – the equivalent of DID in the US. Their strategy was very clear – push for 10-15 years with stories of desperate cases and eventually public opinion will change and the law will follow. I’m always been told, ‘If I was like you I’d kill myself’. ‘If I was like you I’d want to die.’ There are people who sincerely believe that people like me are better off dead. But I don’t want to die. And to talk about choice when so many vulnerable and disabled people do not have a choice about basic care, housing and support is to put us in a very dangerous position indeed. This is really serious. It’s about life and death. If this bill becomes law some disabled and vulnerable people will be subjected to exploitation and abuse and will die as a result. The very reason we don’t allow capital punishment in this society is because the best police investigation and the best judges can come to the wrong conclusion and execute an innocent person. The leading organisation representing health professionals caring for the elderly in Britain has this last week spoken out strongly against the legalisation of assisted suicide. The British Geriatrics Society is the professional body of specialists in the health care of older people in the United Kingdom. It has over 2,750 members worldwide and draws together experts from all the relevant disciplines in the field - doctors, nurses, allied health professionals and scientists. In a powerful statement issued on 10 July the society says that whilst it respects that patients have a ‘right’ to determine the choice of treatment and care they receive and some symptoms are ‘difficult to control’ a policy which allows physicians to assist patients to die is ‘not acceptable’. Speaking from the experience of caring for ‘many older people with frailty, disability and those who are dying’ the experts ‘accept life has a natural end’ and believe that their job is not to ‘prolong life at all costs’ but to ‘improve quality of life’ whilst accepting that death is inevitable. They argue that the clear priority is ensuring that the best possible care is available. They observe that much of the public demand for assisted dying seems to stem from ‘the fear of a prolonged death with increasing disability sometimes associated with unwanted burdensome medical care’. But they argue that this suffering at the end of life can be prevented ‘by a change in the focus of care – from prolonging life to addressing the individuals own priorities and symptoms, and by the involvement of medical professionals skilled in palliative and end of life care’. The statement comes in the lead up to the debate on Robert Marris’s Assisted Dying Bill in the House of Commons on 11 September. Marris wants to make it legal for mentally competent adults with less than six months to live to be prescribed lethal drugs on the say so of two doctors and a High Court judge. He would do well to heed these voices of experience. Labour MP Rob Marris wants to legalise assisted suicide in England and Wales. His Assisted Dying (No 2) Bill would allow mentally competent adults (>18) judged to have less than six months to live to receive help to kill themselves once given approval by two doctors and a High Court judge. Marris’s Bill is essentially the same as Lord Falconer’s Assisted Dying Bill which ran out of parliamentary time in the House of Lords just prior to the general election (see full critique of Falconer here and recent CMF File on assisted suicide here). A second reading debate on the general principle of the bill will be held in the House of Commons on Friday 11 September. If MPs vote it through then it may be very hard to stop it becoming law in some shape or form. So it is essential that MPs turn up en masse and vote it out. Any change in the law to allow assisted suicide would place pressure on vulnerable people to end their lives for fear of being a financial, emotional or care burden upon others. It would also encourage those with an emotional or financial interest in another person’s death to apply subtle means of coercion. This would especially affect people who are disabled, elderly, sick or depressed. 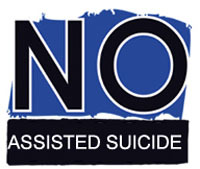 Experience in other jurisdictions, such as Belgium, the Netherlands and the American states of Oregon and Washington, shows clearly that any change in the law to allow assisted suicide, or any other form of euthanasia, leads to ‘incremental extension’ and ‘mission creep’ - a steady annual increase in numbers and a broadening of categories of those to be included (from mentally competent to incompetent, from terminal to chronic illness, from adults to children, from assisted suicide to euthanasia). This process will be almost impossible to police. This bill also gives huge power to doctors without proper accountability and its so-called safeguards are paper thin. Furthermore, as we have seen already with the Abortion Act, a small number of doctors will push its boundaries and will be very difficult to regulate. The Bible tells us that human beings are unique amongst God’s creatures in being made in the image of God (Genesis 1:26). It is on this basis, after the flood, that God introduces the prohibition against killing legally innocent people (Genesis 9:6,7) that is later formalised in the sixth commandment, ‘You shall not murder’ (Exodus 20:13; Deuteronomy 5:17). Other passages in the Old Testament (eg. Exodus 21:12-14; Leviticus 24:17-21; Numbers 35:16-31; Deuteronomy 19:4-13) define ‘murder’ unambiguously as the ‘intentional killing of an innocent human being’ (Exodus 23:7; 2 Kings 21:16; Psalms 106:37,38; Jeremiah 19:4). Euthanasia and assisted suicide clearly fall within this biblical definition. The Bible makes no provision for compassionate killing, even at the person’s request and there is no recognition of a ‘right to die’ as all human life belongs to God (Psalms 24:1). Our lives are not actually our own. Suicide (and therefore assisted suicide) is therefore equally morally wrong. Jesus taught in the Sermon on the Mount that that we should go beyond the mere letter of the sixth commandment to fulfil the very spirit of love on which it is based (Matthew 5:21,22). We are called to walk in Jesus’ footsteps, to be imitators of God, to love as he himself loved (1 John 2:6; Ephesians 5:1,2; John 13:34, 35), to walk in the way of the cross. God calls us to give our whole selves to the love and service of others by expending our time, money and energy in finding compassionate solutions and offering hope to those who suffer (Matthew 22:37-40; Mark 8:34; Philippians 2:4-11; Galatians 6:2, 10). This has found practical shape historically in the hospice movement and in good palliative care - pioneered in large part by Christian doctors and nurses. Persistent requests for assisted suicide and euthanasia are extremely rare if people are properly cared for so our priority must surely be to ensure that good care addressing people’s physical, psychological, social and spiritual needs is accessible to all. The present law in England and Wales which makes assisted suicide illegal is clear and right. The penalties it holds in reserve act as a strong deterrent to exploitation and abuse whilst giving discretion to prosecutors and judges in hard cases. It does not need changing. This is why I am asking Christians to take up their pens and write to their MPs encouraging him/her to oppose the bill and vote against it. Visit www.carenotkilling.org.uk/Bill2015 to access guidance on engaging with your MP (noting especially the three key ways of doing so) and do please share this initiative with others. As a result of the voices of concerned citizens, including many Christians, we saw Patrick Harvie's assisted suicide bill defeated earlier this year in the Scottish Parliament by 82 votes to 36. Let’s pray and work together to seeing off the Marris Bill. It will be an even tougher challenge but we need at such a time as this to speak out on behalf of vulnerable people who are being put at huge risk. Most have heard of the All Blacks, New Zealand’s national rugby team. They have won over 76% of their Test matches and are the leading Test match points scorers of all time. The All Blacks are the only international side with a winning record against every country they have played, and since their international debut in 1903 only five nations have defeated them in Test matches. Since the introduction of the World Rugby Rankings in October 2003, New Zealand has held number one ranking longer than all other teams combined, and they are the first team to win 400 Test matches. But the All Blacks are not New Zealand’s most dominant sports team. And they have won the rugby world cup only twice in seven attempts, with a tendency to choke in crucial games. The All Blacks Sevens are marginally better. The Sevens have won twelve of the sixteen IRB Sevens World Series events. Since 2000 when the series first started, the only times they have not won the series were in 2006 when Fiji were crowned champions, 2009 won by South Africa, 2010 when they came second to Samoa and 2015 when Fiji won the series. But overall the team has won 47 tournaments out of 122 held. 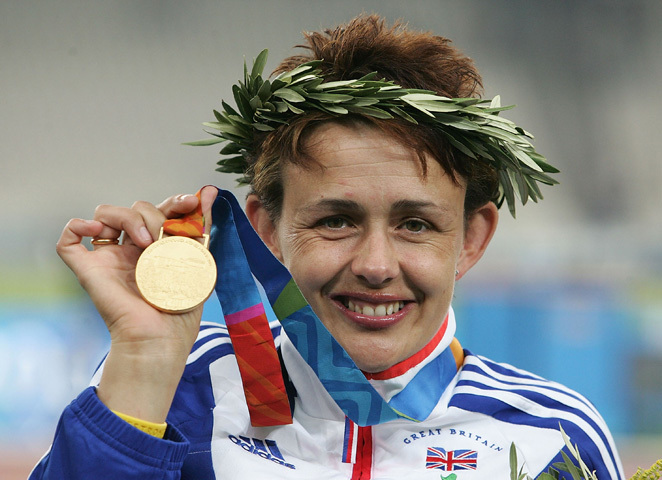 They have also won four Commonwealth gold medals in 1998, 2002, 2006 and 2010. But they are not New Zealand’s most dominant sports team either. 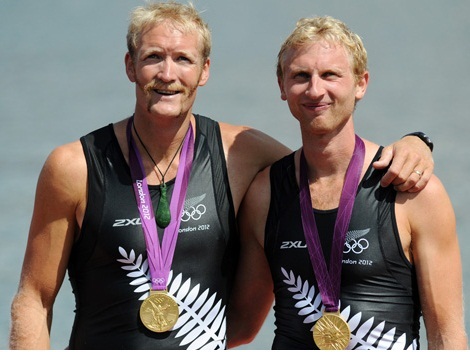 That accolade, at least in recent years, goes to two rowers, Eric Murray and Hamish Bond (pictured above). New Zealand have a long history of excellence in rowing and won the world championships in 2014. Today they have won the World Rowing Cup III regatta at Lucerne with six golds and eleven medals overall. Britain came second, just ahead of Germany, with just three golds and eight medals overall. Murray and Bond won gold in the men’s coxless pair in 6m 24s, a winning margin of only 3 seconds but a staggering 16 seconds outside their world record in the event of 6m 8s. In other words, they were just coasting. The duo have been unbeaten since 2009 – winning gold in five consecutive world championships since 2009 along with the Olympic gold medal in 2012. By September 2014 they had won 19 consecutive championships, an unbeaten streak stretching over six years and around 50 races. Murray and Bond were judged the best male rowing crew in the world in 2011, 2013 and 2014 and are currently ranked 1 and 2 amongst the world's top ten male rowers on the World Rowing website. Whether they can win their sixth consecutive world championship in 2015 and Olympic gold in Rio in 2016 remains to be seen but their reputation as New Zealand’s most dominant sports team is richly deserved.